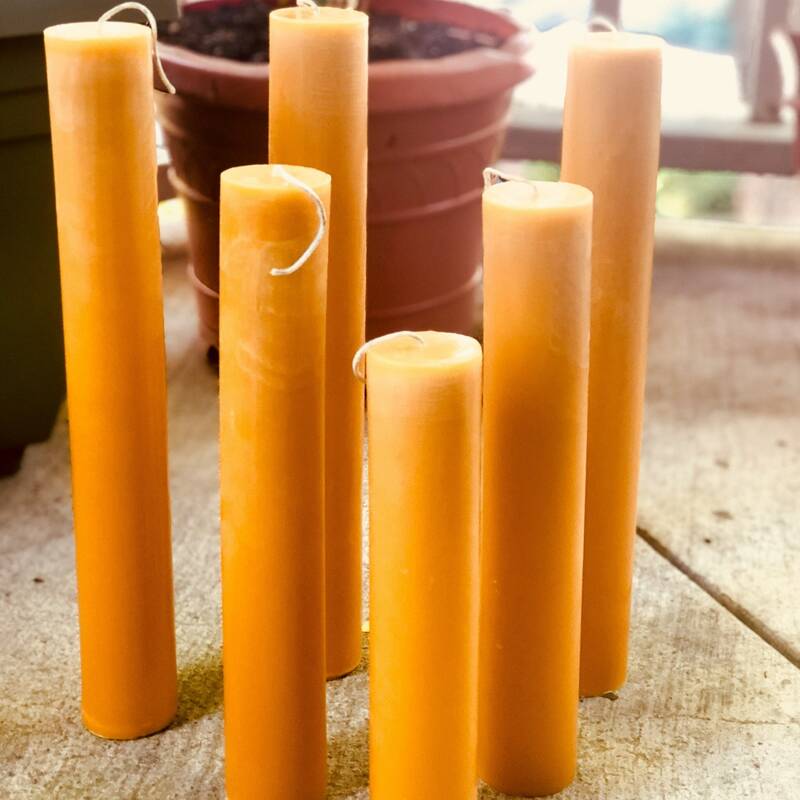 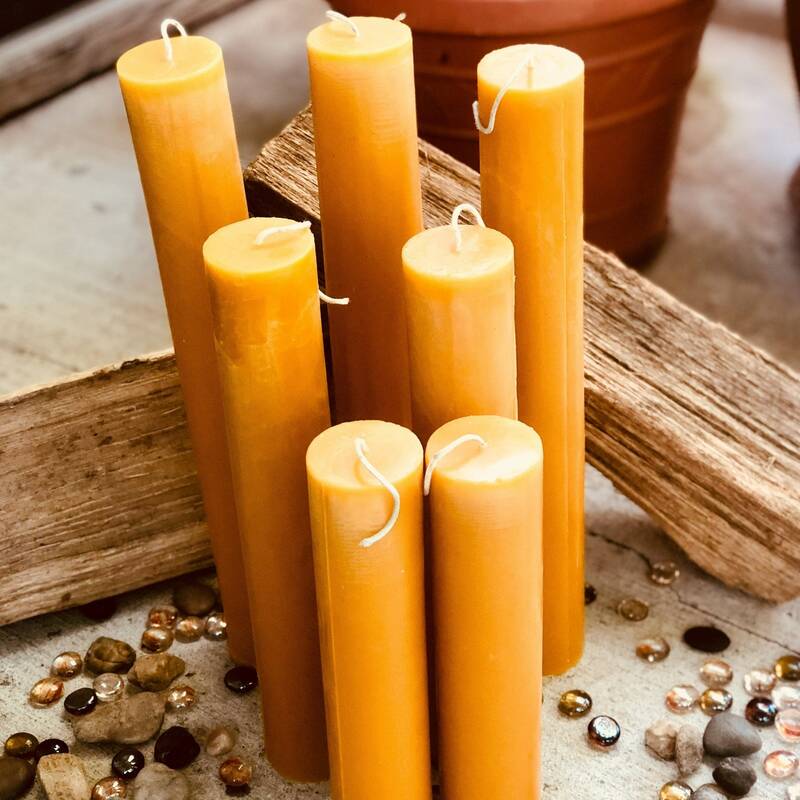 This beautiful 100% beeswax pillar extra tall pillar candles will add drama, a light Honey scent and a soft amber glow to any setting, inside or out. 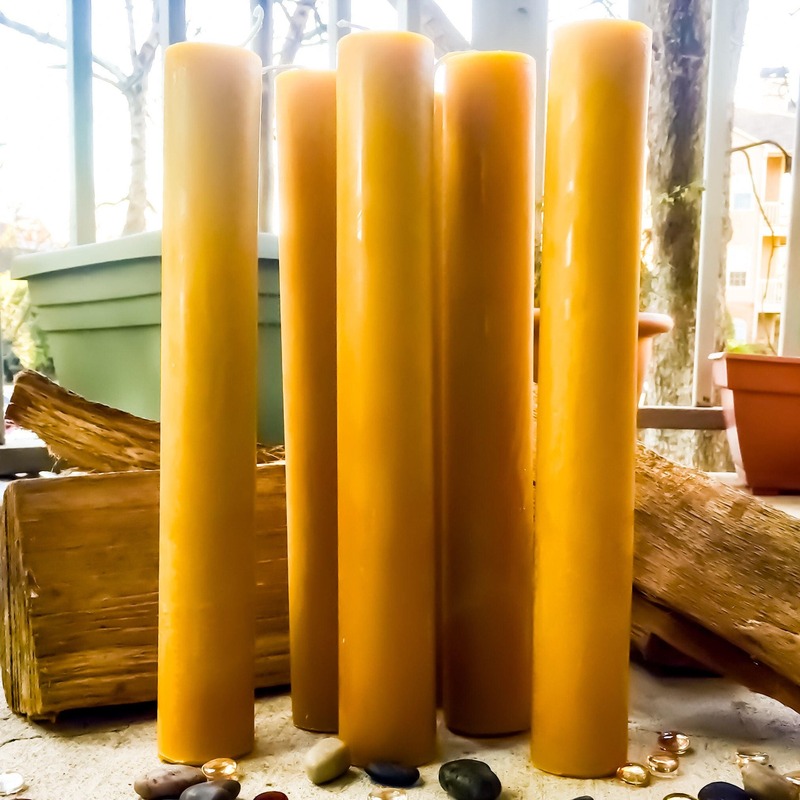 Imagine your dining room or patio bathed in the light of these romantic beeswax candles. 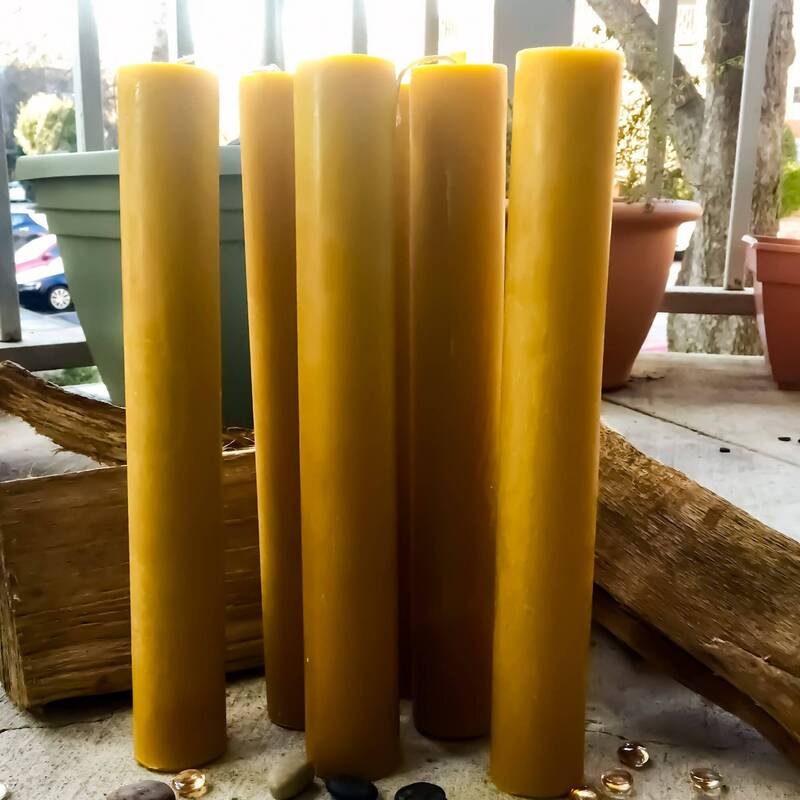 All are 100% Organic Beeswax. 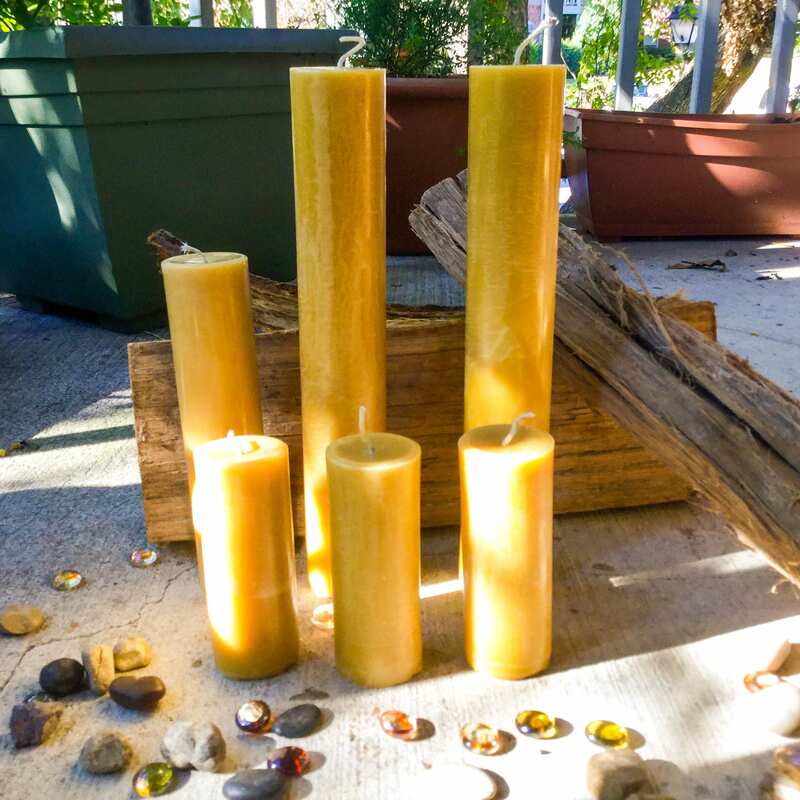 These extra tall pillars are very unique and make the perfect gift. 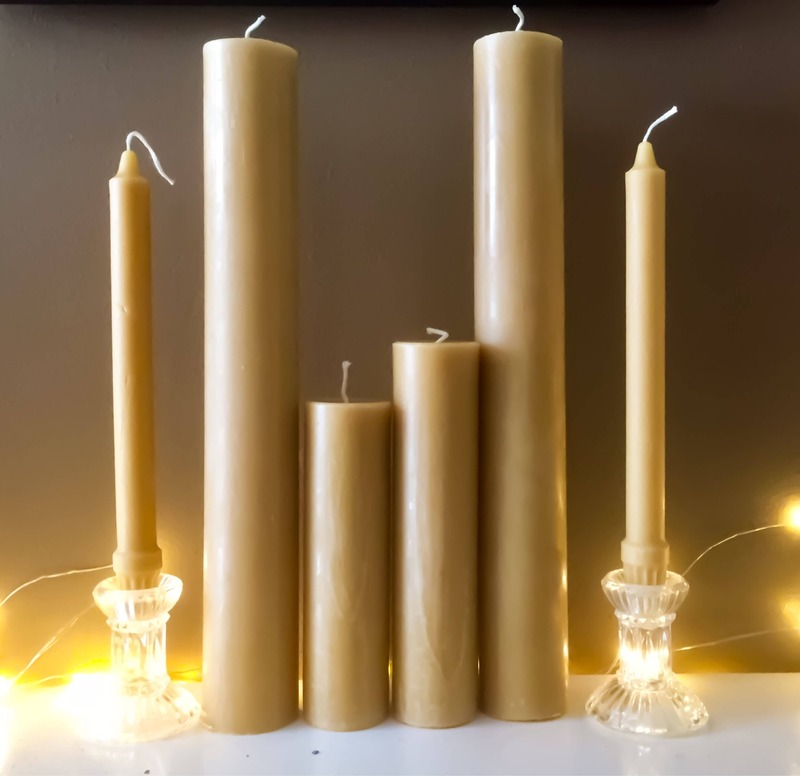 They measure 2" in diameter and are from 7"- 15"in height. 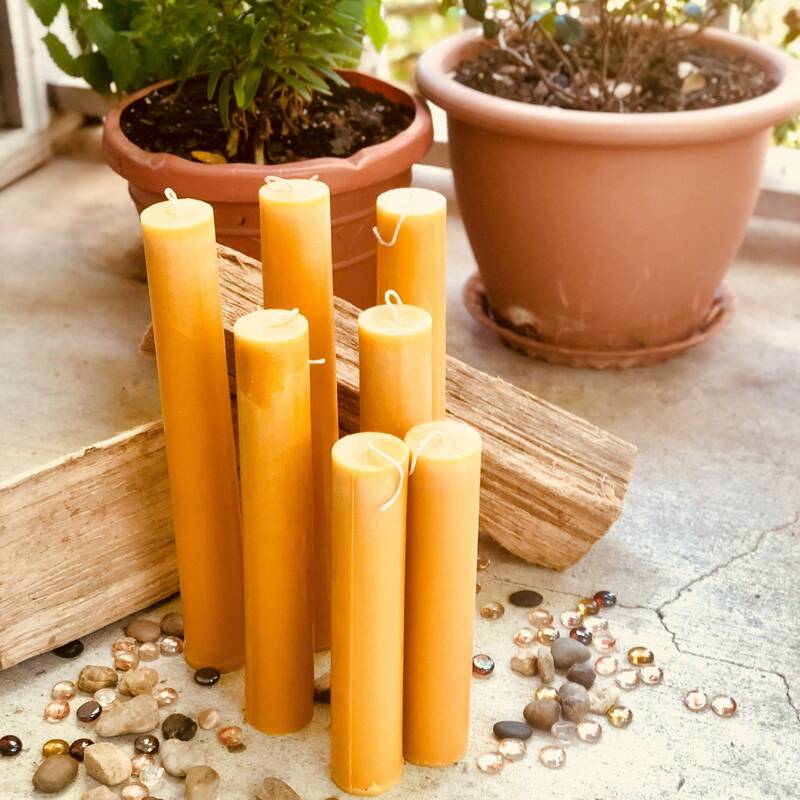 Organic Beeswax Candles are pure, natural, and environmentally friendly. 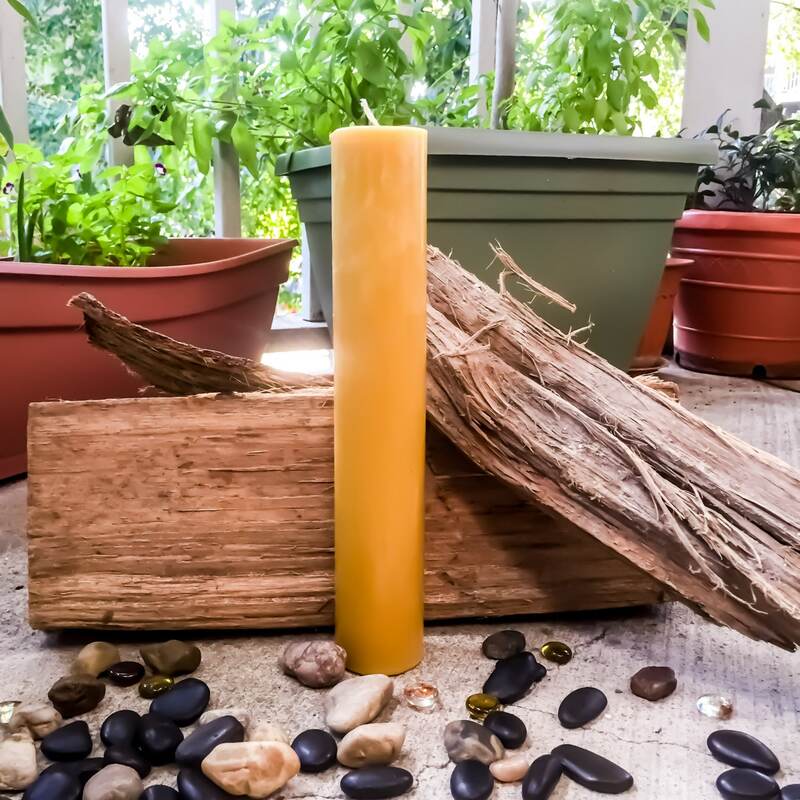 The ambience you seek will be enhanced by the light natural honey scent. 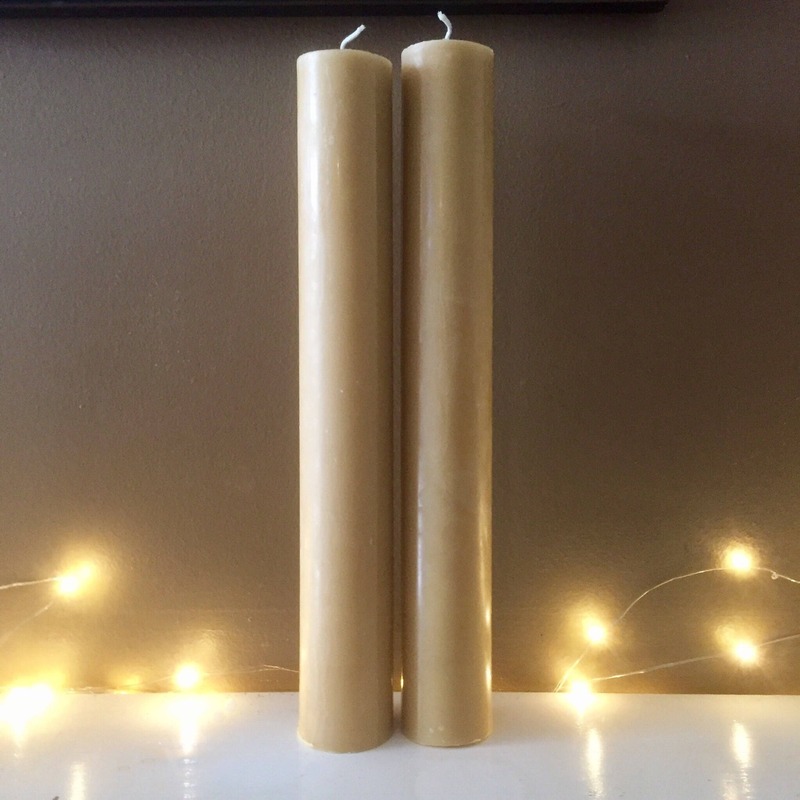 I made a paschal candle for easter out of it. 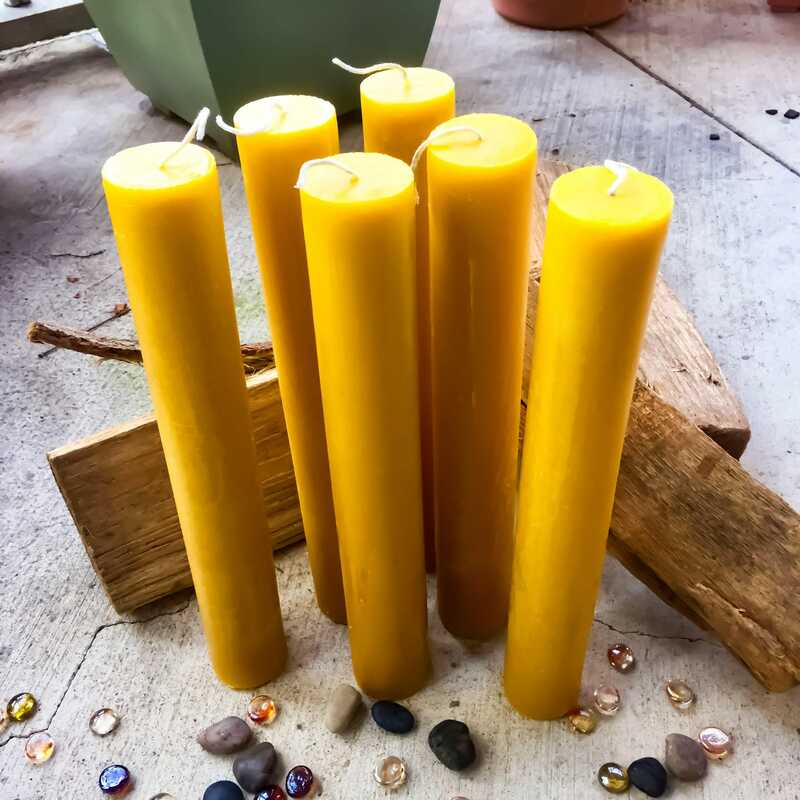 It was just perfect with pure bee wax and honey scent.